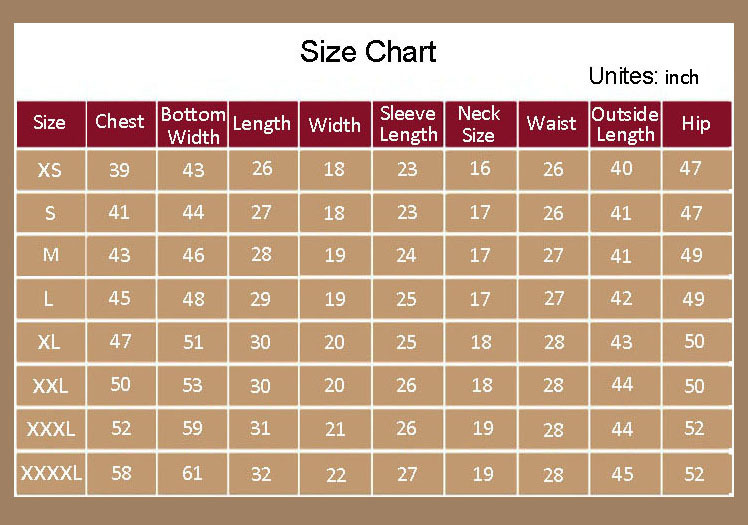 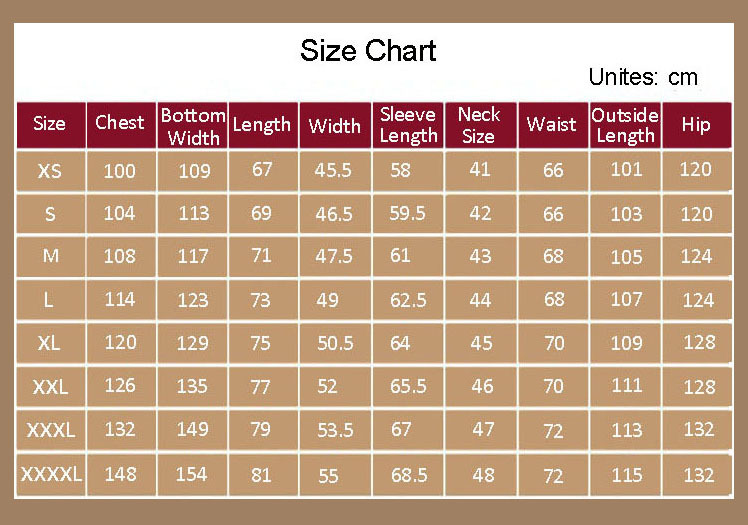 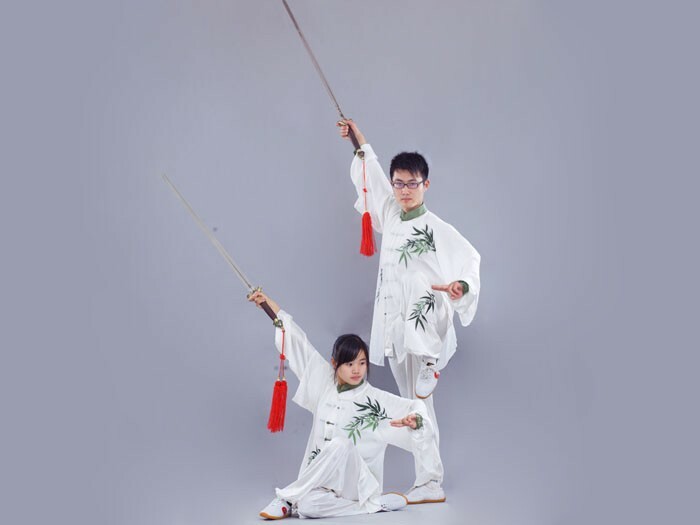 The white embroidery Tai Chi Suit with traditional bamboo patterns of elegant style could be particularly customized for both male and female, definitely a wonderful choice for both training and performance. 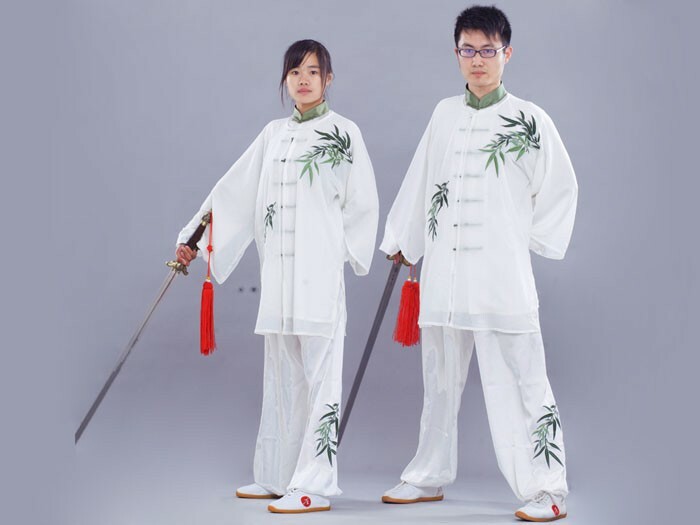 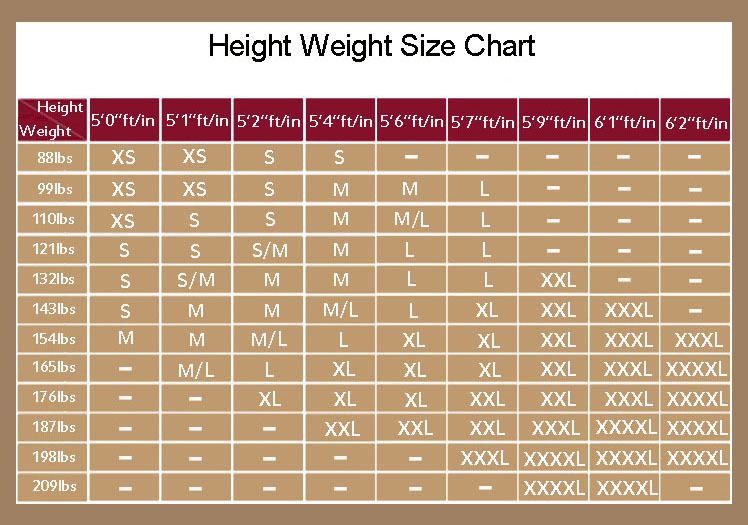 This type of Tai Chi Clothing is a combined fruit of Chinese embroidery art and Tai Chi culture whose distinctive qualities could be expressed by the delicate craft of the former. 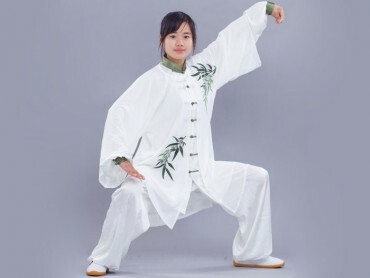 In the traditional Chinese views, the bamboo is highly thought of as a persistent and strong-willed figure of modesty and lofty spirit. 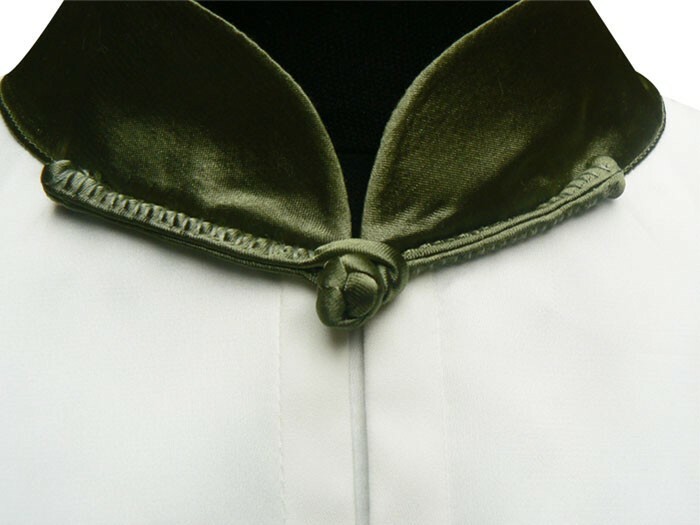 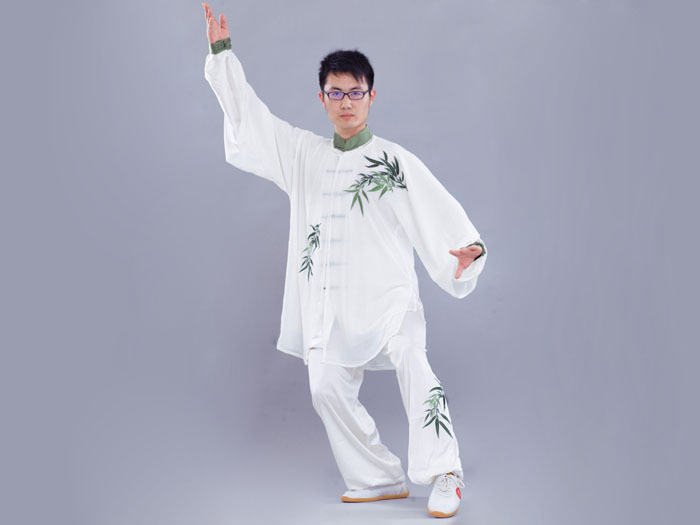 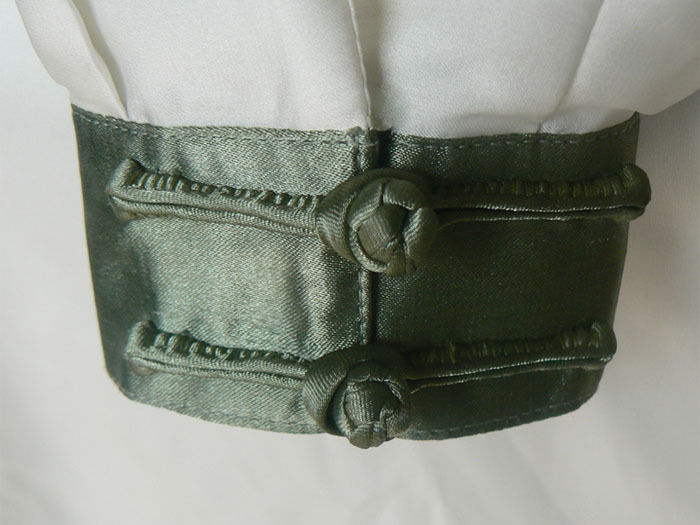 Furthermore, the green bamboo on this Tai Chi suit is a symbol of spring, nature, and the everlasting life, which is taken as the upmost leading principle of Tai Chi. 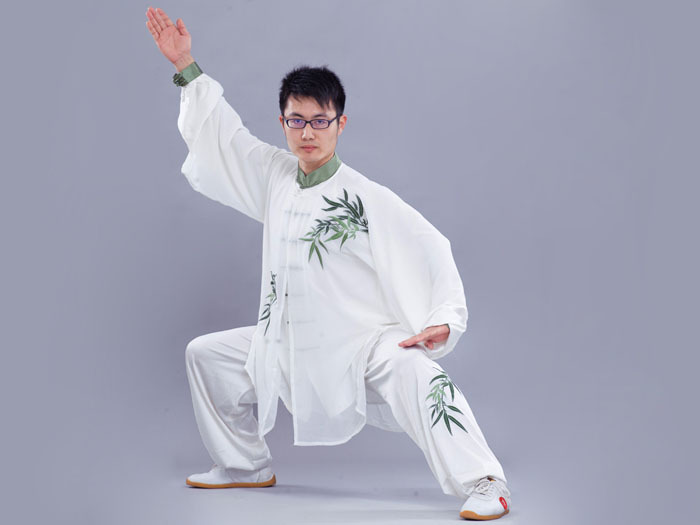 Anyhow, it looks so cool in such an elegantly light suit of Tai Chi Clothing, continuous movements just flowing out naturally.